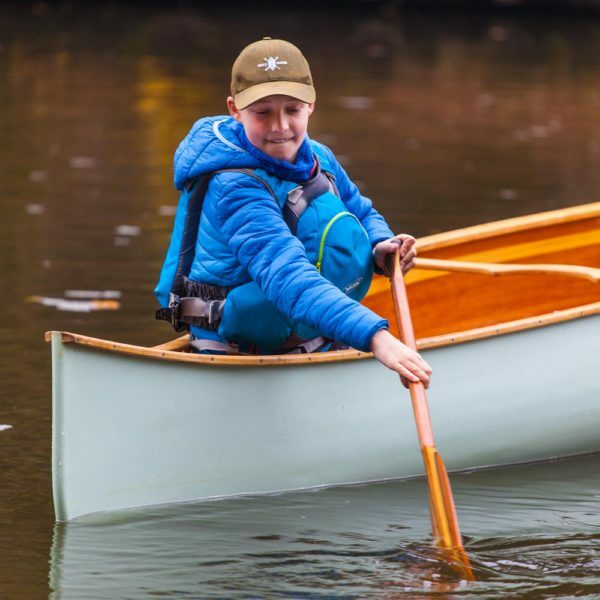 The ottertail children’s canoe paddle is a classic versatile and lightweight paddle. 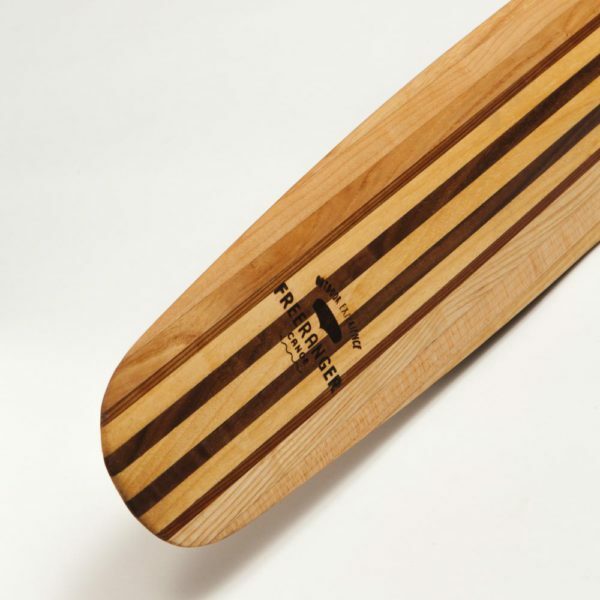 The tapered blade makes it a silent paddle that slices smoothly through the water. 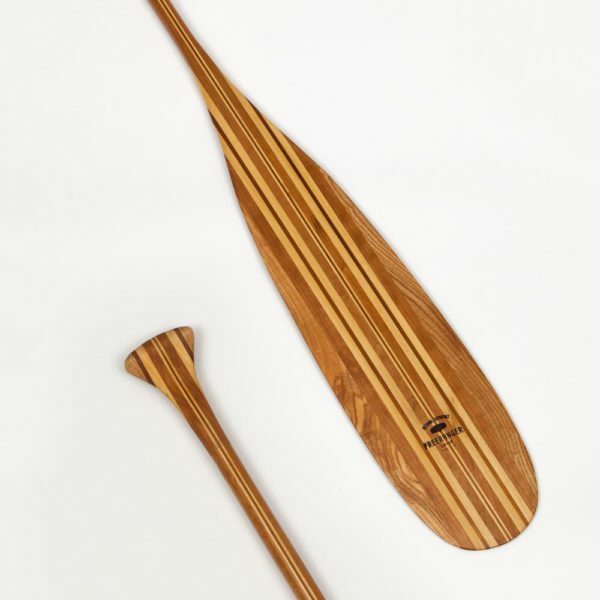 It is the ideal deep-water touring paddle for extended trips. In addition to its noislessness, the long blade gradually enters the water. 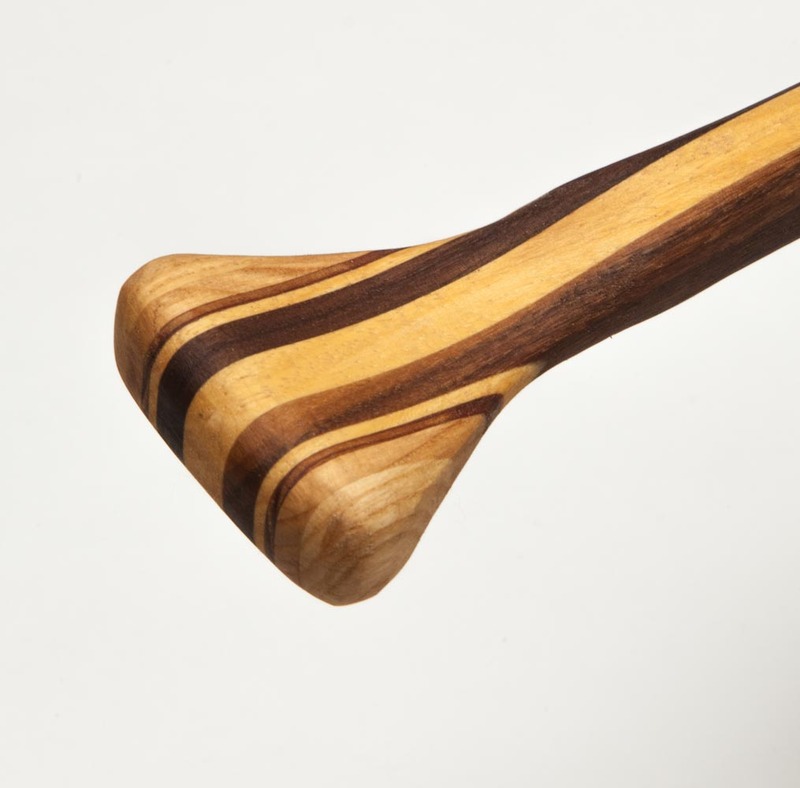 It minimally burdens muscles and joints. The ottertail children’s canoe paddle is made up of a ash, walnut, cedar and ayous laminate. 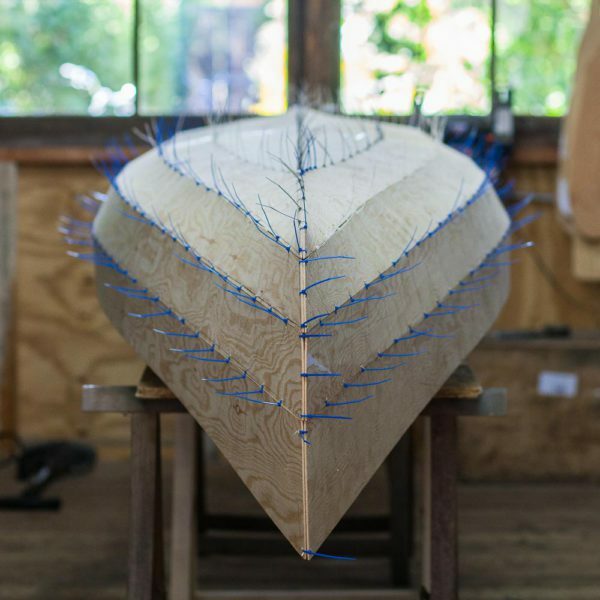 That guarantees a solid and relatively light combination. The pear-shaped oiled grip gives the paddle a pleasant and smooth feel. 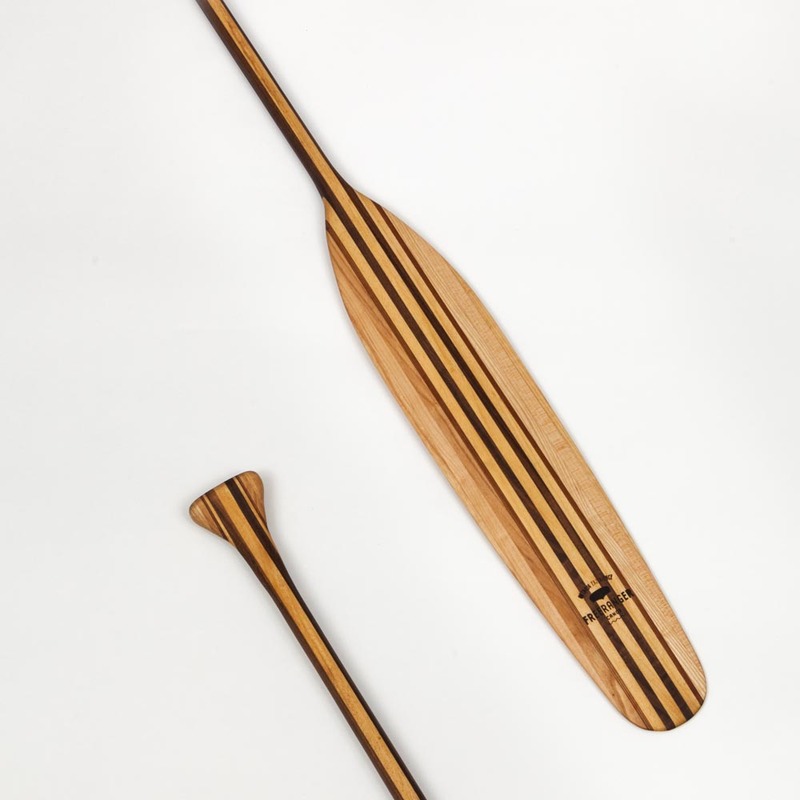 The ottertail paddle is available with a semi-gloss varnished or an oiled finish.